Food has always been an integral part of any culture. The Geography and beliefs of the land mostly dictate the development of cuisines. Food is a great barometer in understanding a culture. 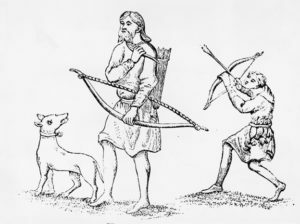 Germanic tribes from mainland Europe to Britain in the 5th century A.D. Preservation of Food has always been key to survival in these countries. 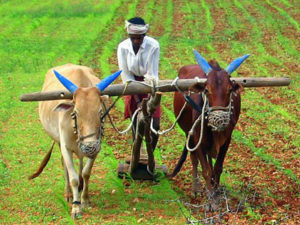 Agriculture is not big due to the climate, hence hunting and gathering have been integral to survival. The cold preserves, hence these cultures are predisposed to preservation and this translates to many objects, however the focus in this article is ‘Food’. The technologies to preserve and prolong the life of food have evolved over time from basic methods of smoking to industrial canning and the creation of ‘preservatives’. India is a subcontinent that has equitable sunshine throughout the year and cyclic seasons that until lately, have worked like clockwork. When they have not, there have been famines and the spectacle of death which have influenced deep thought on the meaning of Life and death. that Indians have always waited for every year is the arrival of the monsoon. 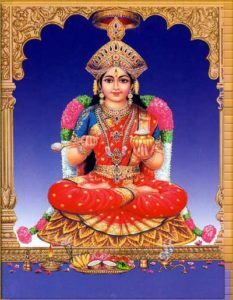 Thus Indians are predisposed to cycles which in turn generates deep beliefs of a cyclic nature. Food cannot be preserved in India’s climate and the cyclic natures of creation and destruction were always very evident visually and and as a reality. Agriculture is the very first step towards civilisation. A society that hunts and gathers is collectively involved in these activities but once agriculture begins, it frees members of that society to follow other pursuits and thence begin the indulgences of the intellect, art and philosophy. ‘Fresh’ food is sought after in India and food almost always has to be freshly prepared, be it home or restaurant. Linear West – Meat and Potatoes, Bread and Butter and of course seafood; pretty basic but this is what was essential for survival, hence Food has not been very high on the agenda as far as a cultural ingraining goes. It is mostly French and Italian cuisine that these cultures have looked up to, due to proximity. 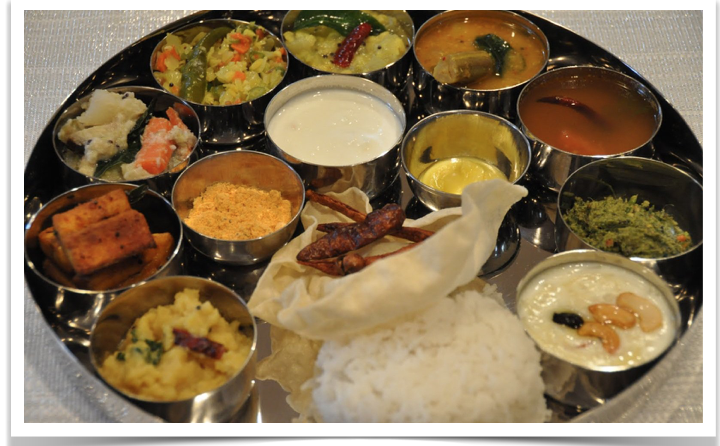 India – More than half the population of India is vegetarian. And this is a little more than the population of the whole of Europe. vegetarian’. This is because vegetarianism used to be the norm and eating meat, an exception. This is inherent in the etymology of the word. You will find restaurants advertising this as in the picture here. The aspect of being vegetarian is influenced by both geography – climate conducive to the growth of several varieties of vegetables and spices, as well as beliefs – the sanctity of life, non violence as a core principle and the ancient Indian belief of ‘You are what you eat’. Those that followed the path of academics – the study of the Vedas and scriptures were not allowed to eat meat since it was believed that meat brings about aggression and these philosophers and guides of society needed to maintain clarity of thought and a level temperament. The warrior classes were allowed to eat meat since aggression in them was deemed necessary. However, there was always individual choice in the India of yore, which degraded over time. 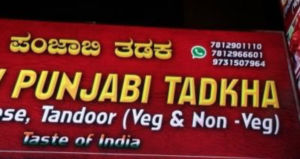 Thus vegetarianism has always been big in India. 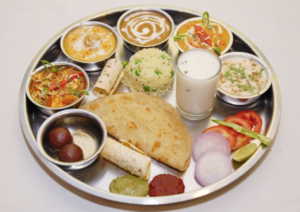 While for the rest of the world, meat is the main food and there is a vegetarian option, in India the term ‘Non-vegetarian’ has come to being simply because the main food is vegetarian and meat is an option. In addition, India is the land of spice. It is estimated that 70% of the world’s spices are imported from India. Spice adds to the existing variety of vegetables in the country to provide numerous combinations, that perhaps no other country could boast of. In the Linear West, food can be hot or cold but must be prepared with precision. The methods are strict and adhered to in an empirical and measured manner and every time a dish is prepared, it must be of a certain ‘texture’, ‘look’ and ‘taste’. A very specific set of ingredients must be used and innovation happens generally as an exception. There must be consistency. With the Linear west there are always rules to be adhered to – a very Biblical notion – follow the the ten commandments and you will reach the promised land. In India, like the multitude of cultural diversity that co-exists, there are rules that you follow, basic and sound principles of cooking but beyond that, there is great flexibility. use their fingers to toss in salt or spices. 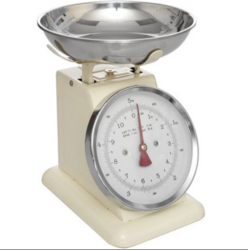 ‘Exact’ measures are not the norm. India has never been empirical and this reflects in it’s food. But then in India, subtle to big changes within the same dish of taste and flavour are encouraged since this celebrates variety. Another reason for the difference in approach is that Western cultures operate on Aristotelean (Binary) Logic – right or wrong, but India operates on a pan-optic view which incorporates Binary, Fuzzy and Multi-Valued Logic and is very flexible in accepting, adopting and adapting. modified to suit taste. 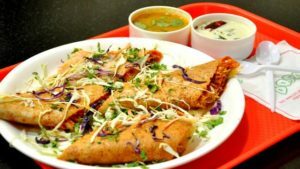 Thus while western cuisines remain relatively classical and rigid, in India there is innovation and fusion all the time from masala noodles to schezwan dosa – a fusion of a South Indian pancake with noodles. what could be more Linear that that? One thing at a time, one after the other, planned, methodical, sequential and reeking of Aristotelean Logic. core of Indian cuisine. It represents the entire Philosophy of India, accept everything, partake in everything and there are no fixed rules – to each his own. Eat as you will. While the Anglo Saxon West creates rules for behaviour, Indian behaviours are based on ‘Nature’ – The very word ‘Dharma’ means ‘In accordance with nature’ and not ‘religion’ as it has distorted to, over time. This also represents the circular non-linear fashion of Indian thinking. Imagine the random movement of an Indian’s hand as he attacks his Thali. This will also remind you of the traffic in India – it is Brownian motion, the natural order of things. The Indian thought process is cyclic and sees nature and even time as cyclic, hence behaviours are sought to be in harmony with nature and the way objects in nature move. Ayurveda the ancient Indian form of medicine says that when one eats, as many senses as possible must be indulged for fulfilment – sight, smell, taste and touch. Hygiene – While sterilised cutlery is good, you cannot assure it every time unless you carry your own. In a restaurant, you do not know how many mouths a spoon has been in but you always know where your fingers have, hopefully! Safety – Meat in India is almost always cooked on the Bone. There could be a foreign object in your food or a piece of bone which your fingers have a much better chance of picking up than your cutlery, before it does any damage. Temperature – The temperature that is right for your fingers is right for your mouth and you will not end up burning your mouth. Linear West – Most people eat out and the advent of supermarkets, factory made food and the microwave ensures minimal use of the kitchen. On a relative basis, inviting someone over for Food is not something done very regularly and when there are parties the drink flows and Food is usually ordered in. worship, Food is first offered to God and then consumed. Most Indians cook food at home and prefer freshly cooked food. This is changing though due to westernisation. 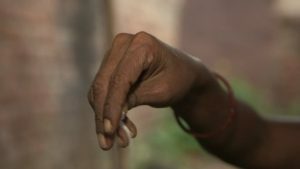 Tradition dictates that a certain portion of one’s meal is set aside for the poor and for birds and animals, but this has become nothing more than a ritual over time and even the ritualistic element has all but vanished. The Yajur Veda (One of the 4 Vedas – ancient scriptures and the very roots of Hinduism) states that ‘Guest is God’. A guest hence is to be treated as God and this continues in India even today. And a guest is usually serenaded with food. The roots of several behaviours of Indians can be found in the epics – The Ramayana and the Mahabharata and there is an interesting story in the Mahabharata about what hospitality means and how it impacts one, spiritually. 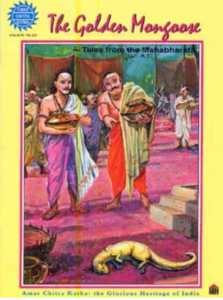 A king was performing a Yagna ( An ancient ceremony conducted for obtaining spiritual or material power) and had invited his entire kingdom to witness it and there appeared a mongoose. Most of the body of the mongoose shone like gold, but there was a part of it which was its own natural skin. The King and his subjects watched in amazement as this creature dived into pots out of which food had been served and rolled around in them. The King, bewildered, asked the mongoose why it did so and the Mongoose told him its story. “Many years ago O King, I was hungry and entered the home of a poor man. This poor man had no food to eat. His wife and child were starving and he managed to find some rice which he brought home. He was about to offer it to his wife and child when a stranger appeared at his door and asked for Food. In adherence to ‘Dharma’ or ‘Righteous conduct’, the poor man took the rice he had brought for his starving wife and child and offered it to the guest. His wife and child died due to hunger. The message that the King got was profound. All his wealth could not match the sacrifice of the poor man in attending to his guest and charity is not done for gain. No ritual in the world can match the power of sacrifice and truth.